HTTPS is a protocol for secure communication over a computer network which is widely used on the Internet. HTTPS consists of communication over Hypertext Transfer Protocol (HTTP) within a connection encrypted by Transport Layer Security (TLS) or its predecessor, Secure Sockets Layer (SSL). The main motivation for HTTPS is authentication of the visited website and to protect the privacy and integrity of the exchanged data. HTTPS is widely used for protecting page authenticity on all types of websites, securing accounts and keeping user communications, identity and web browsing private. TLS error when connecting via VPN. Getting a TLS error on a particular web site when connecting via a Fortinet VPN connection. Error is "Can't connect securely to this page. This might be because the site uses outdated or unsafe TLS security settings". The site works fine when connecting from the local LAN. I want to setup ssl free certificate that will also renew automatically. As I know the best option is letsencrypt. Plz if anyone knows how to perform that task or maybe have really working manual - help me. Please! I have working squid on vps with ncsa authorization but I don’t know how to encrypt traffic between proxy client and server. I don’t want to use vpn or http tunnel for it. Plz help. it's complaining about a self signed cert. 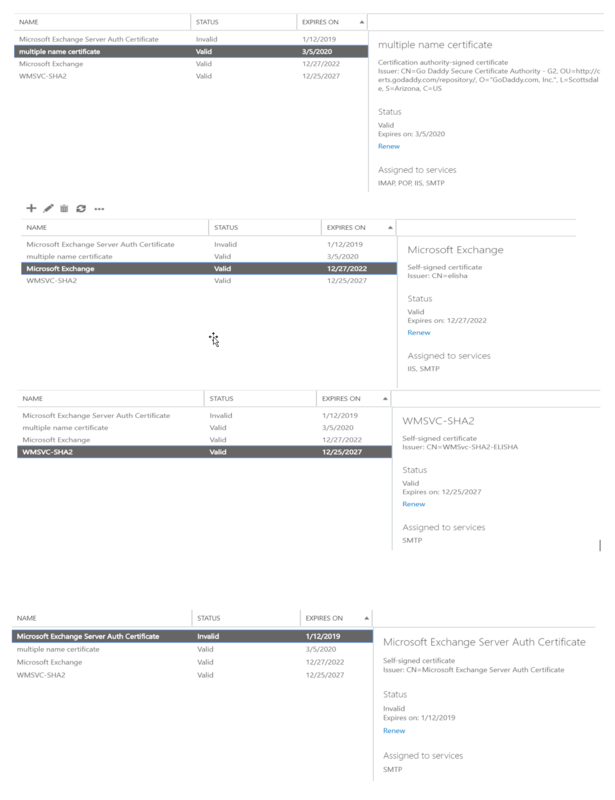 I'm running exchange 2016, and in my certs section, there are 4 certs, one is invalid, expired. my question is, can I delete every cert here except my multiple name certificate? Will that cause any issues to mailflow, or OWA? Not sure how to resolve this issue? Any thoughts? elisha is the name of my exchange server. I'm trying to connecto to this url, just using a get request. But always get the error EIdOSSLConnectError "Error connecting with SSL"
this works with some links https like google.com but not my URL. How do I set port forwarding to connect my exchange server with the public ip of my mail.domain? Do I need Routing and Remote Access Service (RRAS) If so do I put it on a DC01, DC02, Gate, Exchange or create a new Server to put it on? Hostname still pointed to old server despite exchange being fully installed on new server. I had exchange 2010 on an old server. I forcefully uninstalled Exchange and turned the Server Off. I installed exchange 2019 on a new server. I was able to install and successfully rekeyed and added the SSL License . Problem using SSLlabs SSLtest I found that "mail.advsystems.com" is still pointing to the old server. Then I enabled the , TLS 1.1 and TLS 1.2 on my IE 1.1 then when I tried to connect again it showed "This page can't be displayed"
How I begin to troubleshoot this? I am not really familiar with this reporting server. 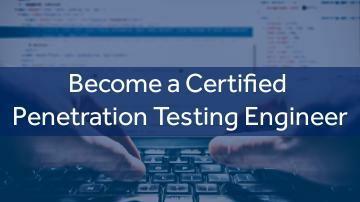 This CPTE Certified Penetration Testing Engineer course covers everything you need to know about becoming a Certified Penetration Testing Engineer. Career Path: Professional roles include Ethical Hackers, Security Consultants, System Administrators, and Chief Security Officers. kindly i need to create local SSL certificate for Linux web server via AD CA authority ,so please advise how to create it and whcich one should be installed on the server and the clients PCs. I need help getting a Kyocera TaskAlfa 3552ci to allow printing over IPP and IPP over SSL. 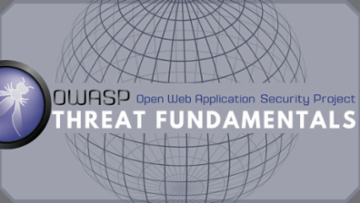 Help to write detail plan to implement SSL offloading on environment. We have sharepoint 2013 with 5 Web servers with 2 Load balance (F5). We are going to implement SSL offloading to our environment. 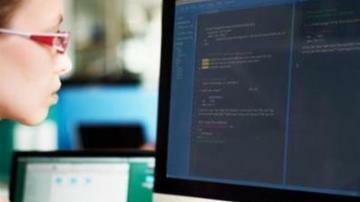 I would like to work on some detail plan to implement on QA server first. Can you please guide me come up with some detail plan to implement? Does anyone have a step by step process on creating/applying certificates for Remote Desktop Gateway server. Everything I read is so vague about the process. JRE keytool: how to import PrivateKeyEntry certificate? I am trying to load some .cer files in to a java .keystore file, using the keytool command. For one of the .cer file, I am expecting to import it as a PrivateKeyEntry. However, the result of "keytool -list" command shows that all certificate are imported as trustedCertEntry. In the "keytool -importcert" command I toggled off the -trustcacerts (idea from https://stackoverflow.com/questions/24974324/import-certificate-as-privatekeyentry ), but it didn't make a difference on the result for me. 1. can "keytool -importcert" import PrivateKeyEntry into the .keystore file? 2. Is the type (PrivateKeyEntry/trustedCertEntry) of the imported certificates in .keystore decided by the way of importing? or by the .cer file itself? 3. If decided by the way of importing, how to do that? 4. If by the .cer file itself, how to check which type it is? Turn on TLS 1.0. TLS 1.1, and TLS 1.2 in Advanced settings and try connecting to https://pavement-science.com.au again. If this error persists, it is possible that this site uses an unsupported protocol or cipher suite such as RC4 Link for the details), which is not considered secure. Please contact your site administrator. He gets this error using Chrome and Firefox, but not with IE or Edge. I have tried to update my WCF service to use https but ran into so many error that I decided to switch back to http before starting the process again (at some point). However now that I have switched back to http I am getting the following error when I try to build the service. This was previously working under http but obviously I broke something when attempting to move to https. (Error 0x80094807) from certificate server: The template was created and published from an existing template. We have a Ent root certificate server. It is issuing certificates. We are trying to enroll a certificate for a server and got an error. I am not sure whether we have selected the correct template for a webserver or something else. The template was created from a built in server's template and published it as mysrvssl. The template permission is set to read and enroll for the server and read permission for authenticated users. I also noticed that STATUS:unavailabe when i try to request using certificate console. The error message was as below when we try to request a SSL cert. https://domain.com/rdweb/webclient remote desktop connection computer shows our external domain on our SAN certificate. This desktop client has its connection refused. If I change the computer name to the internal IP address of the RDGateway/Client Broker/Session Manager ( same server ) its connection is accepted but then I am prompted an additional time for credentials since the public certificate server name does not match our internal server name or iP address. Just connecting to the to RDweb server https://domain.com/rdweb the desktop client which is downloaded to my computer when I select it already contains the internal IP address of the RD server and connects without needing to re-enter credentials due to a certificate mismatch. We want to be able to use the actual webclient but can't currently due to this limitation. 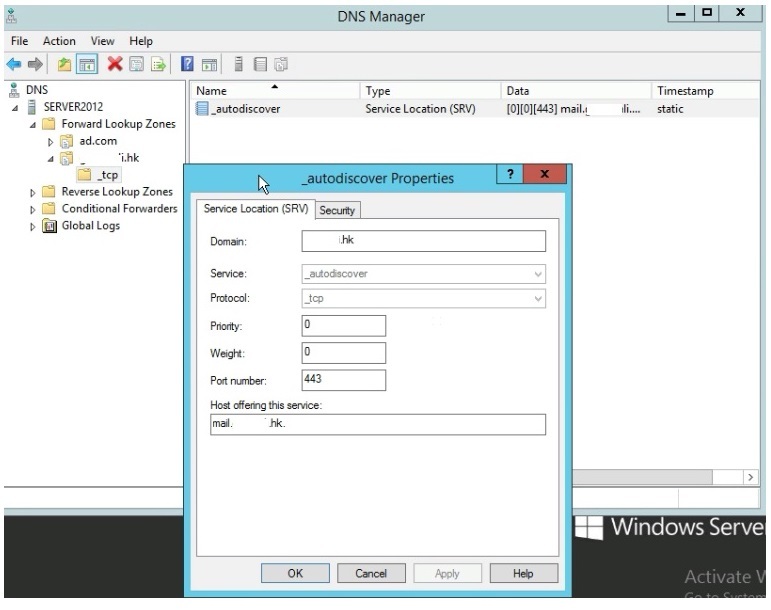 Server 2016 RD all roles on same server behind our firewall. 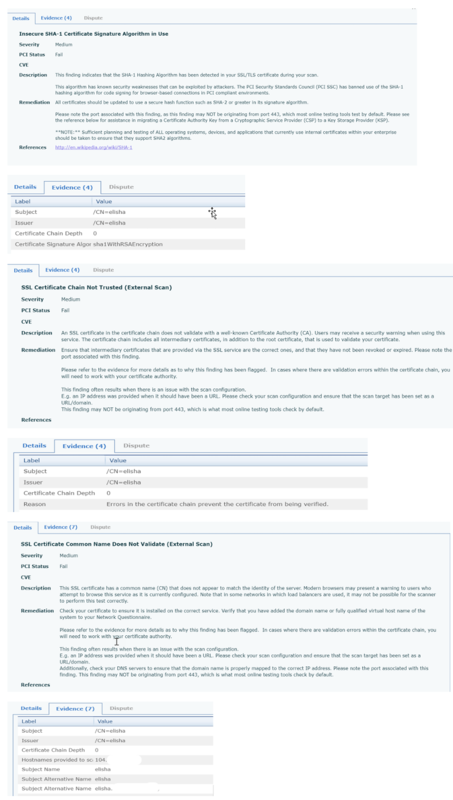 Users\Administrator\source\repos\TiosService\TiosService\App.config(141,79,-1,-1): warning : WCF configuration validation warning: The 'bindingConfiguration' attribute is invalid - The value 'webHttpsBinding_ITransaction2' is invalid according to its datatype 'serviceBindingConfigurationType'. Below is the app.config with the changes I have made highlighted. Appreciate some guidance. A specified logon session does not exist. It may already have been terminated. I'm not sure what those errors mean or if they matter. But something isn't right because when I try to POST from the external server I get an 'unknown SSL protocol error' connecting to my server. I've looked at the certificate stores using the MMC and there's a bunch of stuff in there, but it's all very confusing to me. Not sure if this is related: I'm also running Apache on this server, and it is listening on port 443 using the same SSL certificate. It is working fine and receiving POSTs. We have a system that is meant to send out data and messages to an external system (via 443/tcp 80/tcp). This extract system was working perfectly well when our internal system was hosted on Server 2008 R2. We have recently upgraded to 2012R2 and the extract is unable to send outbound data except we have an active browser session by launching the browser and visiting an external website (any website at all as long as it is on the internet). Once the Browser session is closed, the outbound transfer of data becomes impossible. We are using Exchange 2013, and we have started to receive "Revocation check failed" for SSL certificates, which we purchased from GoDaddy, I have attached screenshot. The specified service already exists." We do use proxy (BlueCoat), which I have taken out, but it still doesn't seem to resolve the issue.